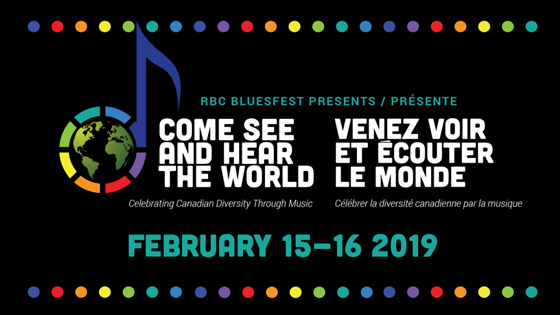 Though the team behind Ottawa's RBC Bluesfest are still a few months away from throwing their main event, organizers have now unveiled a new spinoff festival that will celebrate Canadian diversity through music this winter. The inaugural "Come See & Hear the World" festival will take place in conjunction with the city's annual Winterlude festivities, with both free and ticketed shows taking place in a variety of downtown venues February 15 and 16. Artists set to take part in the event's first edition include Tanya Tagaq, William Prince, Antibalas, Sudan Archives, Crystal Shawanda, Harry Manx & Steve Marriner, JustJohn & Dom Dias, Fateh, Gabrielle Shonk, BlakDenim and more. In a statement, festival executive and artistic director Mark Monahan said that the inaugural event "gives us an opportunity to showcase Canadian and international artists who are performing and creating important music that celebrates their cultural identity... We are extremely happy to be partnering with Winterlude for this event, which we hope will become an important annual musical celebration." "Come See & Hear the World" festival will present shows at Ottawa's Southminster United Church, Fourth Avenue Baptist Church, CRAFT Beer Market and Industria Pizzeria + Bar. Further details on full festival passes and individual show tickets can be found here.